We are set up for the Chicago Title Atlanta seminar at the Aquarium!!! Come by, say hello and drop your card in our basket for a great prize! NEXUS is Right for You! BIG or small - Nexus is right for you! Looking for a way to increase business, mitigate risk and improve the bottom line? Seek no more, NEXUS is here! VirtualFile is an online transaction management system. Think of this as a replacement of your physical paper files. This system allows you to build your file in a virtual online format that is not only secure, but helps you maintain compliance with Best Practices and the Consumer Financial Protection Bureau (CFPB). Share and administratively control access to your closing files with all parties (realtors, buyers, sellers, loan originators, processors, etc.) in real time. Utilize a clean desk policy. Maintain file document retention obligations per underwriter contracts and state law. Track who has touched the file, when, how often and for what purpose. Market new clients through our communication tools. Syncs directly with your software or our cloud hosted SoftPro Select. Today, Karen Bates from North American Title Insurance Company stopped by and dropped off the Top 50 Agent Award. We are thrilled to receive this and could not have done it with out the help of our wonderful Nexus Agents and staff. Entrust will exhibit at the North American Title TN / AL seminar on Wednesday, March 9th, 2016. The event will be held at the Nashville Airport Radisson Hotel. Stop by, say hello and enter a chance to win a great door prize! From all of us at Entrust, we wish you and your family a very Happy Thanksgiving. All of Entrust offices will be closed Thursday, 11/26 & Friday, 11/27. We will reopen for business at regular office hours on Monday, 11/30. Entrust Property Research Goes LIVE! Entrust Property Research offers Municipal Lien Searches and HOA Estoppel research and reports. You and your customers need accurate information regarding any municipal liens or HOA debts existing on a residential or commercial property. By ordering a Municipal Lien Search or an HOA Estoppel letter from Entrust Property Research your report is 100% Guaranteed and backed by a $1,000,000 E&O insurance policy. Our trained professional researchers make sure that your reports are accurate, reliable, and delivered fast! Come by our booth, say hello and enter for a chance to win a great door prize! The buying and selling activity of title companies has picked up significantly over the past year. Comforted by stabilizing housing and mortgage markets, buyers are more willing to pull the trigger on making a deal with the hopes of driving market share. If you're entertaining offers to buy or merge and want to learn how to ensure your deal is successful and profitable, don't miss ALTA' next Title Topics webinar "Time to Buy or Merge? Key Considerations When Looking to Expand," which will be held from 2:00-3:00 p.m. EDT, Thursday, July 23. After registering, you will receive a confirmation email containing information about joining the webinar. It's recommended you perform a system check before logging on. You may need to download software in order to access the webinar. Our very own Jonathan Yasko will be a panelist for the upcoming #ALTA American Land Title Association webinar "Exit Strategies" tomorrow, 6/24 at 2:00 PM EDT. The "perfect storm" of heightened regulations and the technology revolution in the settlement services industry is causing many agency owners and attorneys to consider or accelerate their exit strategies. If you are an agency owner considering a merger, acquisition or business cessation, register for ALTA's next Title Topics webinar "Exit Strategies: Critical Considerations When Selling Your Title Agency," which will be held from 2:00-3:00 p.m. EDT, Wednesday, June 24, to learn the complexity of wrapping up operations from a legal, financial, underwriter and ethical perspective. This webinar will identify and address the business and legal issues necessary to complete an exit strategy. What is the CFPB? Lenders feeling the pressure by the Government. Acceptance of "full responsibility" and actions with and against 3rd party servicers. What are the ALTA's Best Practices" This will include an overview of the 7 pillars. Talking about best practices is not implementation and who can you turn to for help. What are the lenders's responses to both? What title companies and law firms can do, what lenders are looking for and how this will impact the title industry. 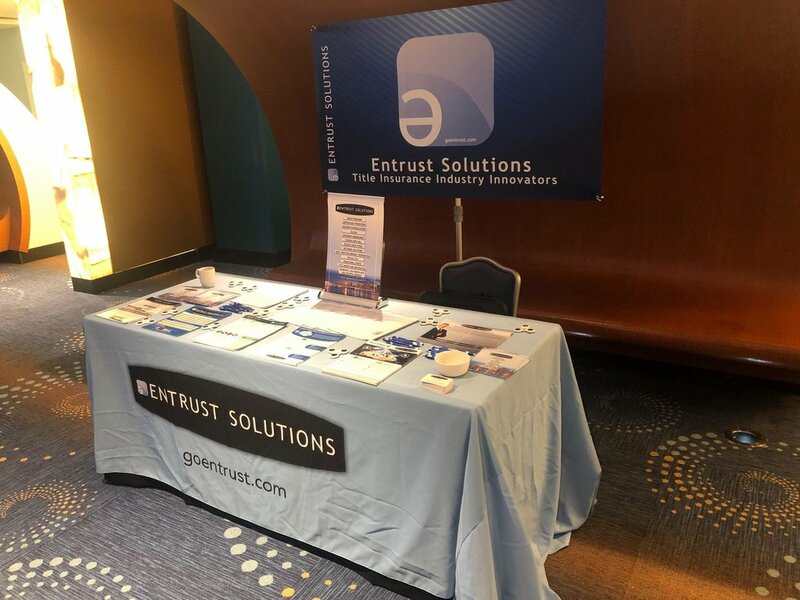 Entrust will be exhibiting at the North American Title's Tennessee Agency Seminar on Wednesday, March 11th at the Radisson Hotel Airport Nashville. In addition, our very own Jonathan Yasko will be a speaker discussing the countdown to compliance at 1:00 PM. In observance of Presidents' Day, all of Entrust's offices will be closed on Monday, February 16th. We will reopen for business at normal hours on Tuesday, February 17th. Thank you and have a great holiday weekend! From all of us at Entrust, we wish you and your family a happy and safe holiday season! In order to allow our employees time to enjoy their families, all of our offices will be closed on Thursday, December 25th and Friday, December 26th in observance of Christmas. We will also be closed on New Year's Day, Thursday, January 1st.